Deck the walls, deck the floor. Cloud-themed rugs and wall decor can set the stage for a space that doesn’t take itself too seriously. 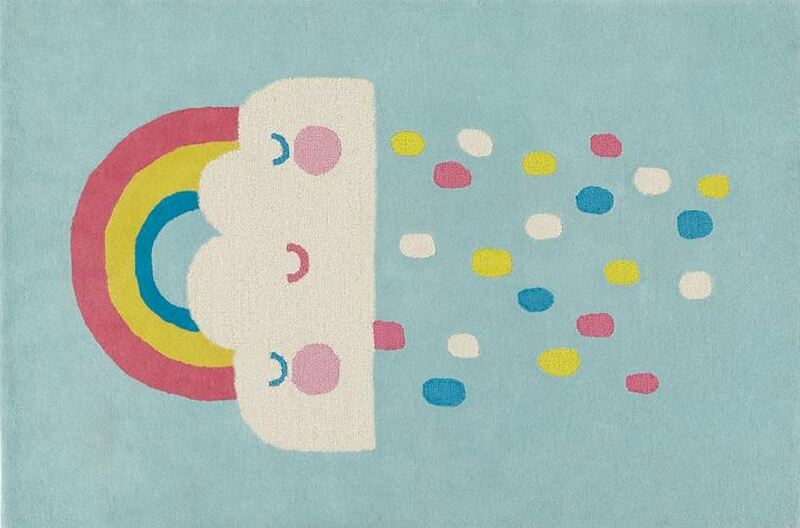 How can you not smile when you see this Rain and Shine Rug from The Land of Nod? Designed by artist Colin Walsh, the rug is available in two sizes. 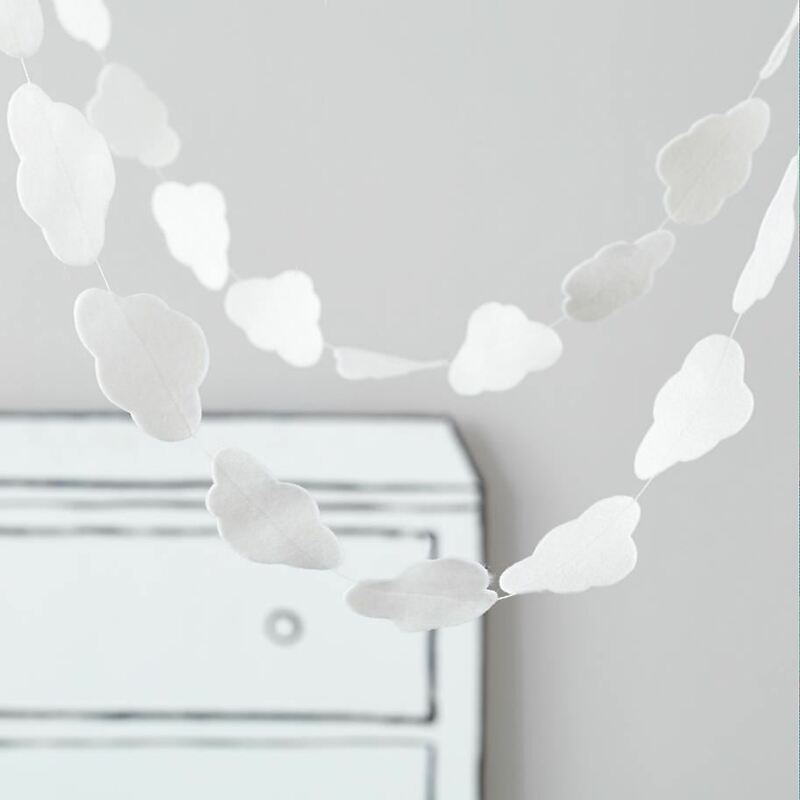 A soft yet striking addition to a child’s bedroom, this Cloud Wallpaper from ferm LIVING is printed on WallSmart wallpaper, which consists of non-woven fleece. WallSmart wallpaper makes the process of covering your walls easier and faster, especially when you use the ready-mixed wallpaper paste. Below we see the cloud pattern (designed by Ingela P Arrhenius) in mint and white, but you can also purchase it in rose and white. 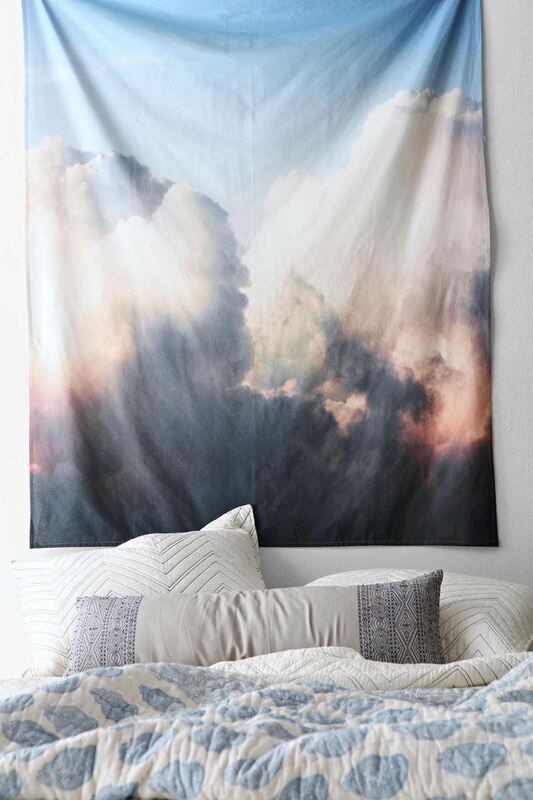 If you’d like to cover your wall in clouds but you’re not up for a wallpapering job, consider this retro-meets-modern Clouds Tapestry from Urban Outfitters. 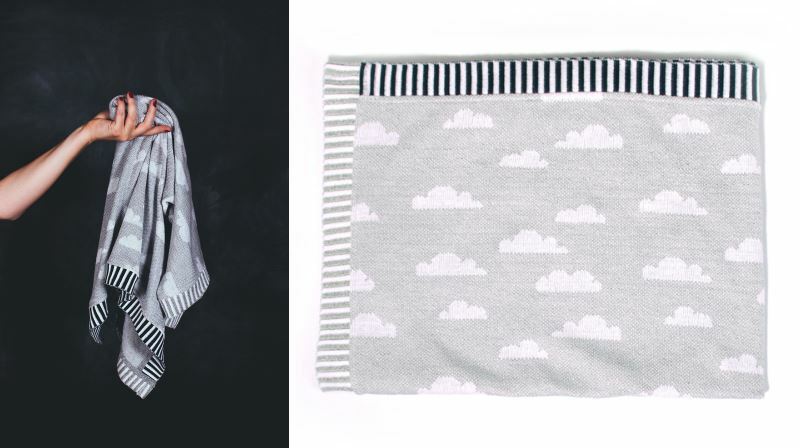 Created by Debbie Carlos, this cotton piece can also double as a beach or picnic blanket. 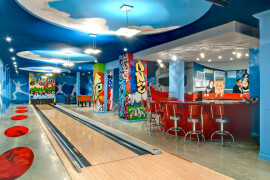 The design evokes the dreamy magic of ’70s and ’80s cloud motifs, don’t you think?! 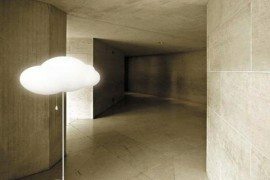 Next up is the Cloud Lamp, another modern find from ferm LIVING. This wall lamp adds the perfect functional finishing touch to the room of your choice. Below we see the piece in mint, but it’s also available in smoked oak veneer for a rustic-modern feel. We now shift our focus from that which surrounds us to that which we sleep on! 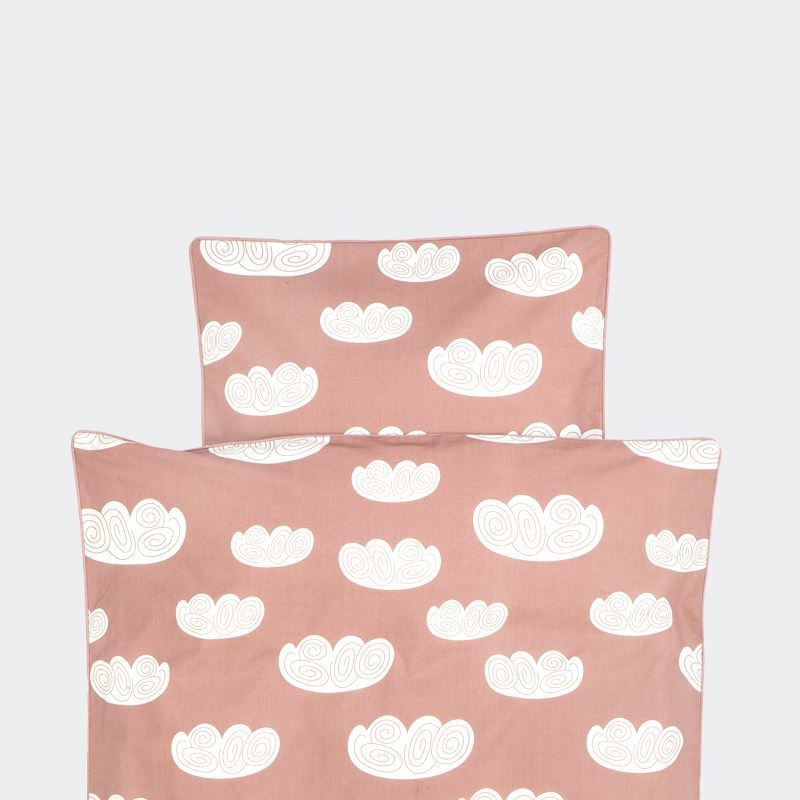 The Cloud Bedding below from ferm LIVING is shown in rose, but it’s also available in mint. 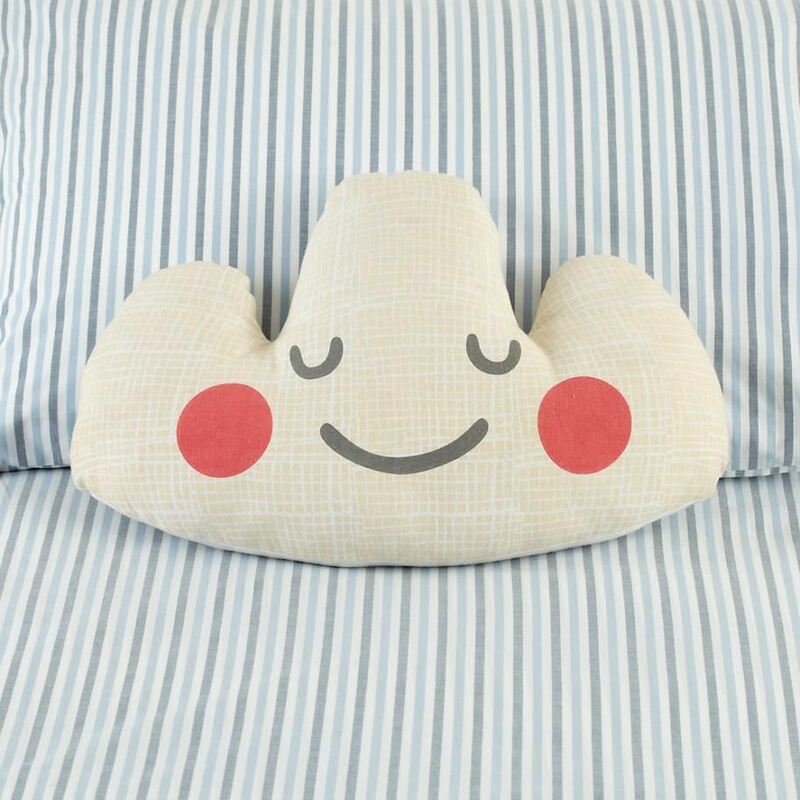 The set includes a duvet cover and a pillowcase, and the fact that the bedding is 100% organic cotton makes it perfect for a child’s room. 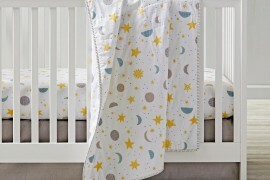 Another reason it works for little ones: the whimsical pattern. As with the wallpaper in the previous section, this bedding features an illustration by Ingela P Arrhenius. 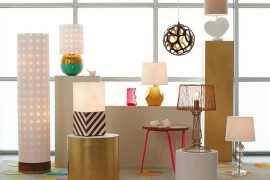 We end with a trio of accessories that add a dash of cloud-patterned pizzazz to the room of your choice. 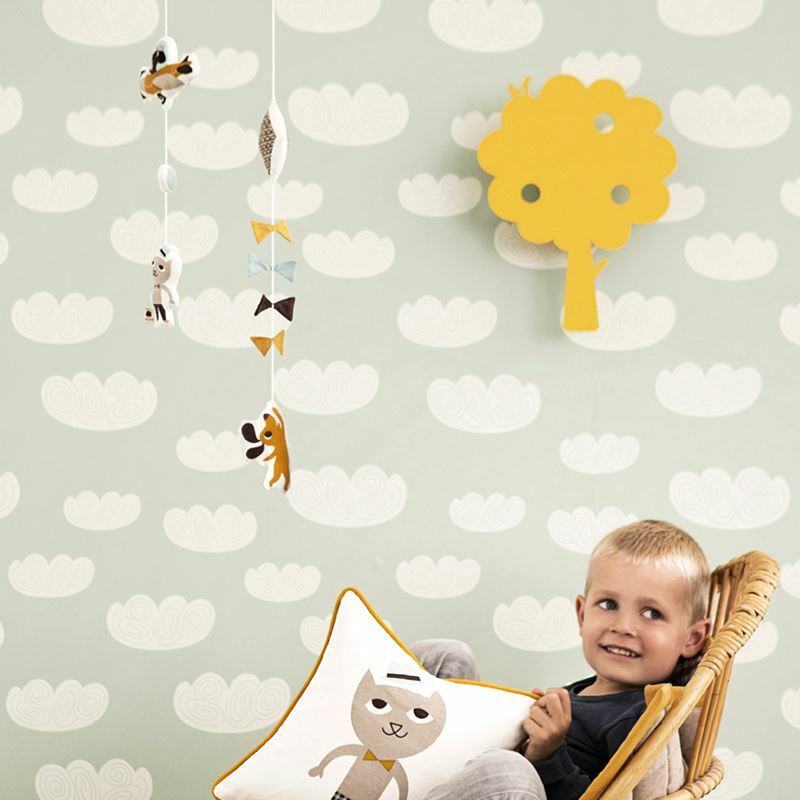 This Fair Weather Garland from The Land of Nod features 20 wool felt clouds. Perfect for a party. Or year-round style! 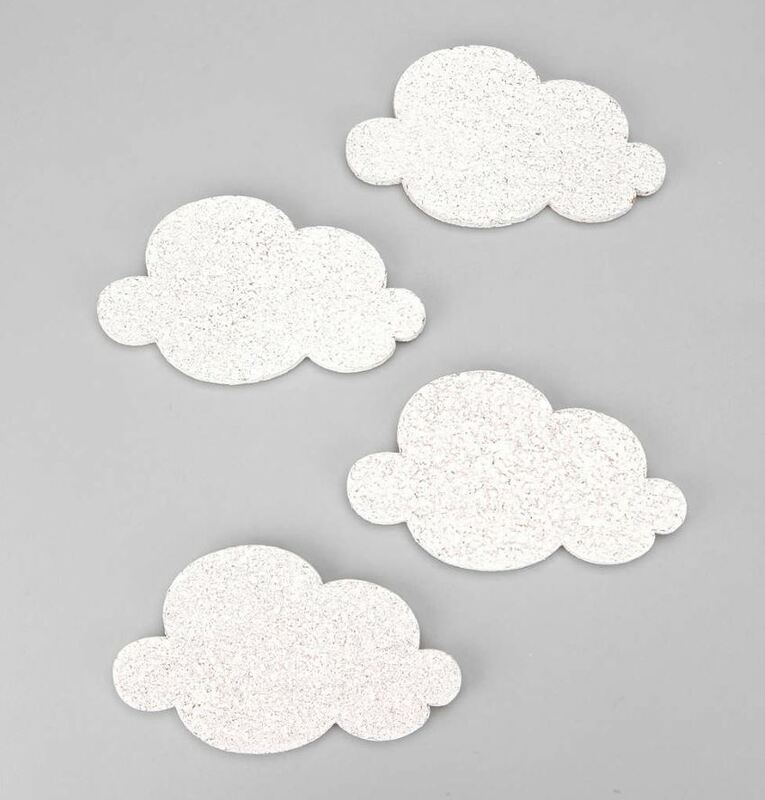 Last but not least, this Mini Cloud Cork-Board Set from Urban Outfitters is crafted from naturally regenerative cork. Not to mention, it includes double-sided tape and peel n’stick magnets for hanging. 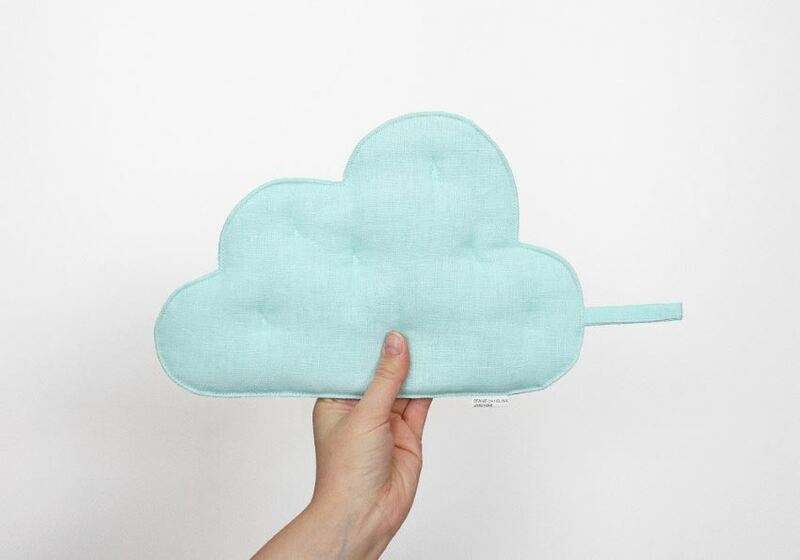 We hope today’s post has given you an array of cloud-themed ideas for dreamy decor solutions. 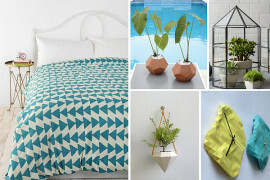 Enjoy browsing, and don’t be afraid to float away as you consider the possibilities!